Celebrate Women’s History this month in your class! Combine geography with recognizing the influential women of our culture. It’s a fun activity to locate the homes, workplaces or monuments of our famous American women on a map. Find out where they lived! Often women’s landmarks are notable for individuals, as with an artist Georgia O’Keefe, whose museum is near where she lived in Santa Fe, New Mexico. Other spots represent groups of women, as with the Lowell National Park which, in great part, celebrates the women who worked in the textile mills of Massachusetts. Here are some fun mapping examples we came up with, to celebrate women this month. We chose famous American women and found out where they made a difference, or where they lived. Then we chose an image that represented them and placed it near their city on the map! 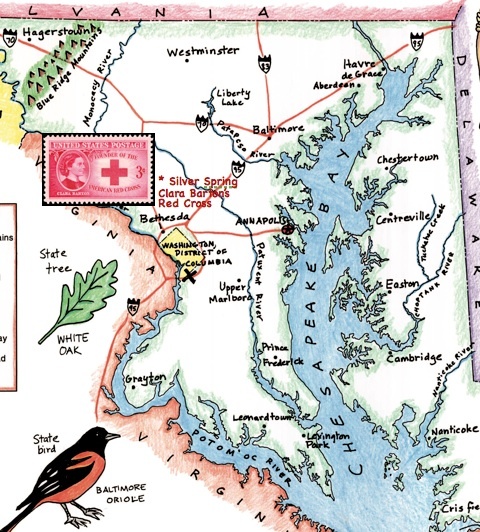 Clara Barton established the American Red Cross. Today, the Clara Barton National Historic Site is at the site of Barton’s home, where she spent the last 15 years of her life. It was the first National Historic Site dedicated to the accomplishments of a woman. The National Park Service has restored her home in Silver Spring, Maryland. Here, the site preserves the early history of the American Red Cross, since the home also served as an early headquarters of the organization. Visitors can see how Barton lived and worked. 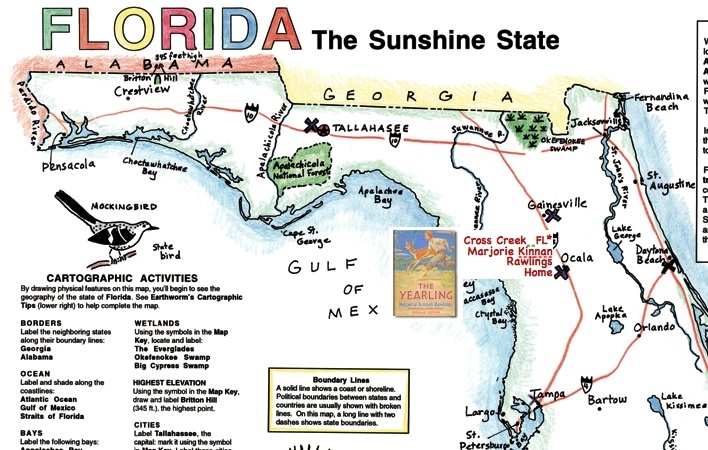 Marjorie Kinnan Rawlings (1896 – 1953) lived and wrote in rural Florida. Her best known work is the novel The Yearling, about a boy who adopts an orphaned fawn, also made into a film. Rawlings won a Pulitzer Prize for fiction. 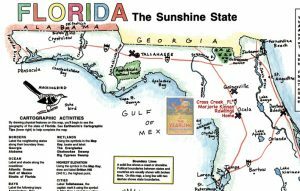 The Marjorie Kinnan Rawlings Historic State Park is located near the village of Cross Creek in Florida, where Rawlings lived. The park is about 8 acres and her home and workspace is preserved. Here we have marked the town where Rawlings lived and worked, now a visitor attraction. World War II provided opportunities for jobs for women, often in professions that were not open to them before the war. Making planes was a huge area of opportunity for women: over 300,000 women worked in the U.S. aviation industry in 1943. “Rosie the Riveter” was a symbol of the jobs that were available to women, and her image recruited women to work while their husbands were away fighting the war. 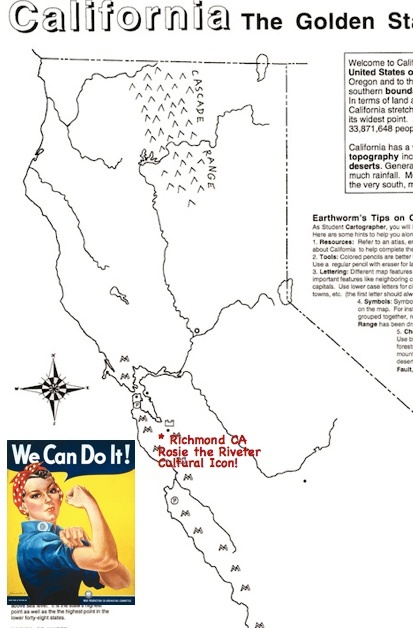 Today there is a museum that documents the war efforts of women in Richmond California: Rosie the Riveter Home Front, part of the National Park Service. We have marked it on our map. Nampeyo, a world famous potter, lived from 1859 to 1942 on the Hopi Reservation in northern Arizona. 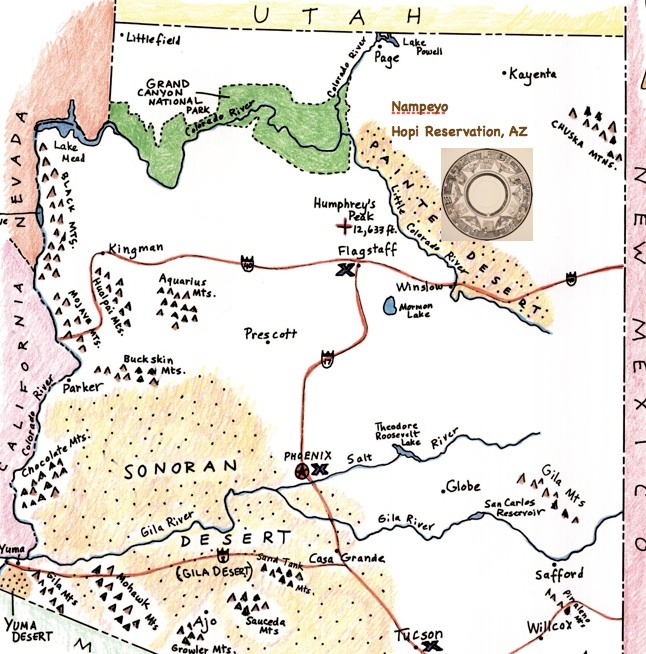 Nampeyo’s work used ancient Hopi and Tewa techniques. Today it is collected by many famous museums in the united States and Europe. Her work set a world record for Southwest American Indian pottery when a decorated ceramic pot, sold for $350,000. 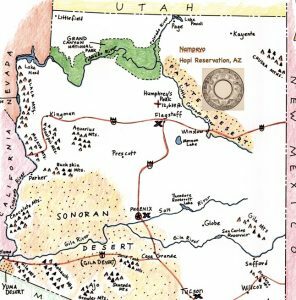 Here we have marked the Hopi Reservation where this famous American artist did her work. 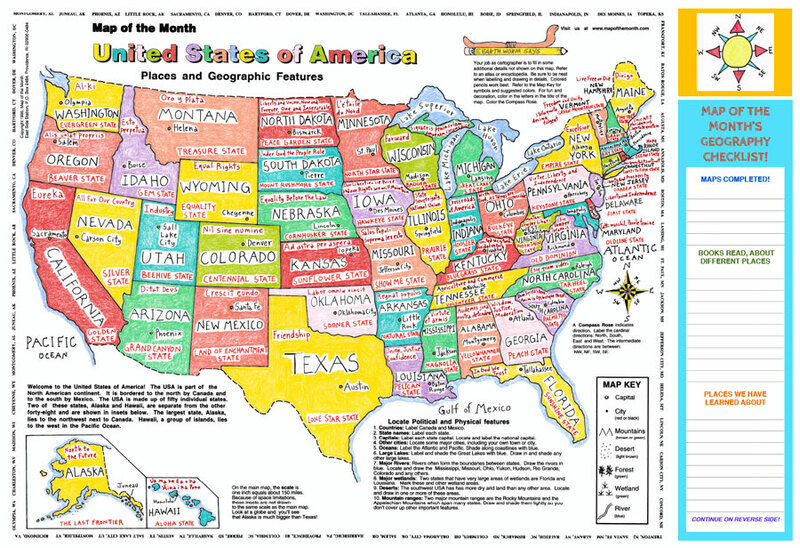 A large blank map of the USA is helpful locate notable women in each of the 50 states. 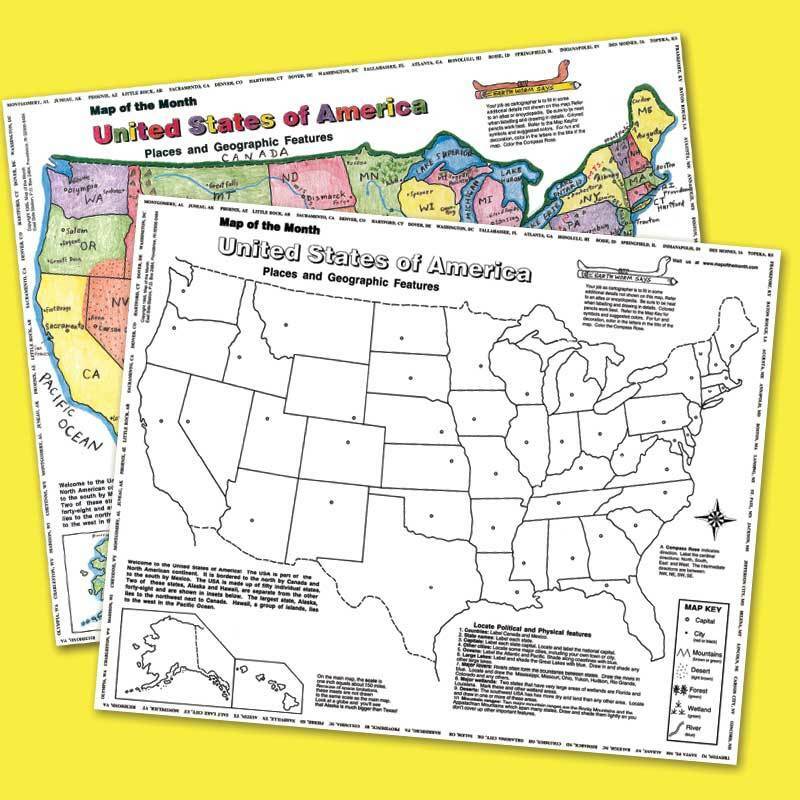 Or, locate famous women in a state using individual state maps, like these large classroom activity maps. Students can place a dot to mark the location of the city or town that’s associated with the woman they have chosen. Then they make a drawing that depicts an aspect of the woman’s life. Note when geography, the location of the site, would have had an influence on the woman’s work. This was surely true with our examples of author Rawlings and potter Nampeyo above. My students LOVE this calendar. We use it each morning as one of our morning activities. 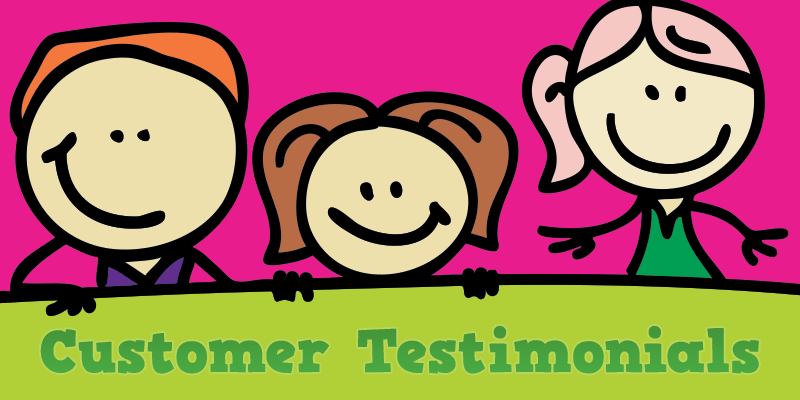 It is exciting to see them eager to read, research and answer the daily question. 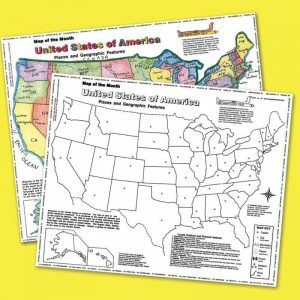 With the use of this calendar I have been able to incorporate geography into daily lessons. 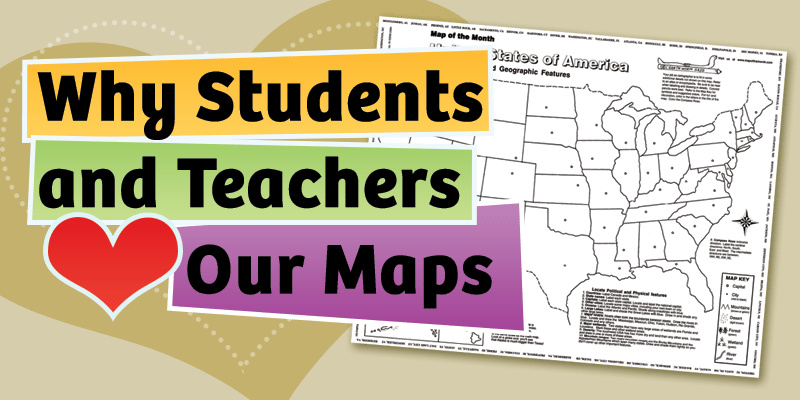 The monthly map activities have also proven useful in teaching map skills. This has turned out to be one of the best tools I have ever used to teach geography in my 22 years of teaching.